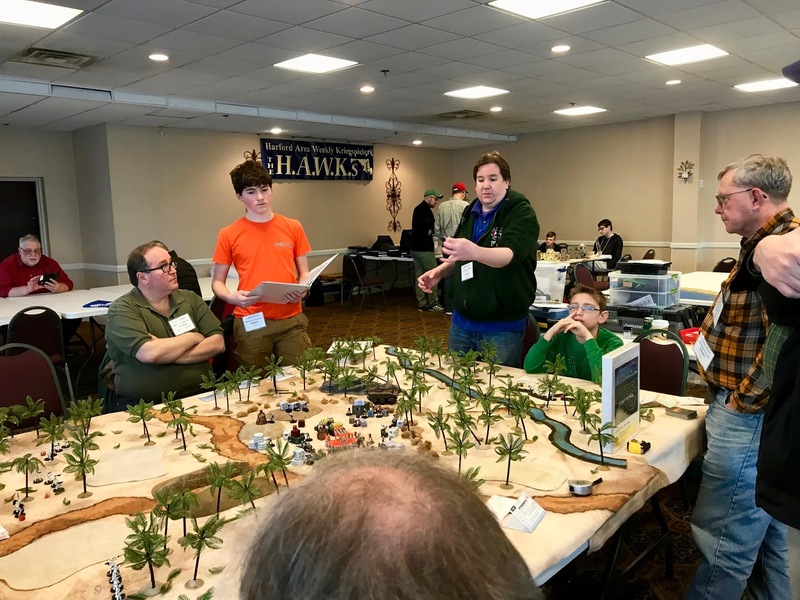 Saturday at Cold Wars in the HAWKs Room | H.A.W.K.S. 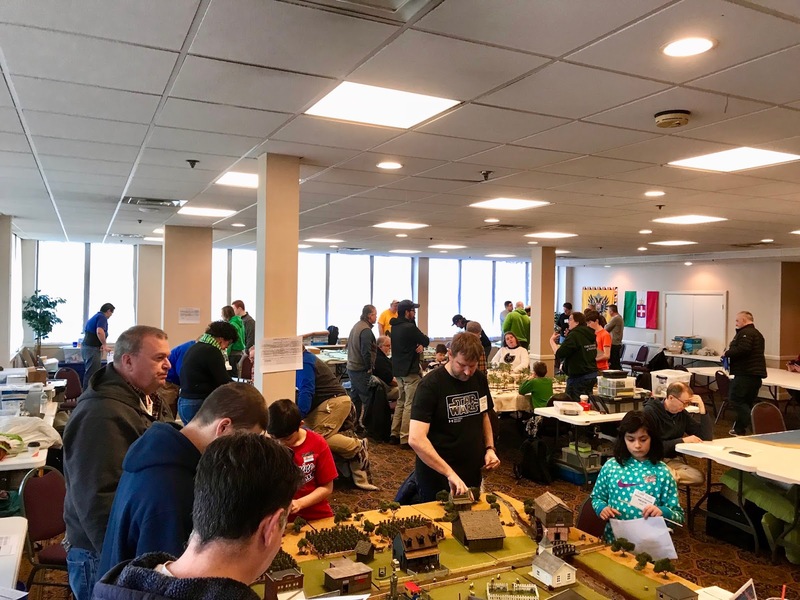 Chris Palmer Here is a collection of photos from Friday games in the HAWKs club room at Cold Wars this past weekend. An overall view of the room Saturday morning. 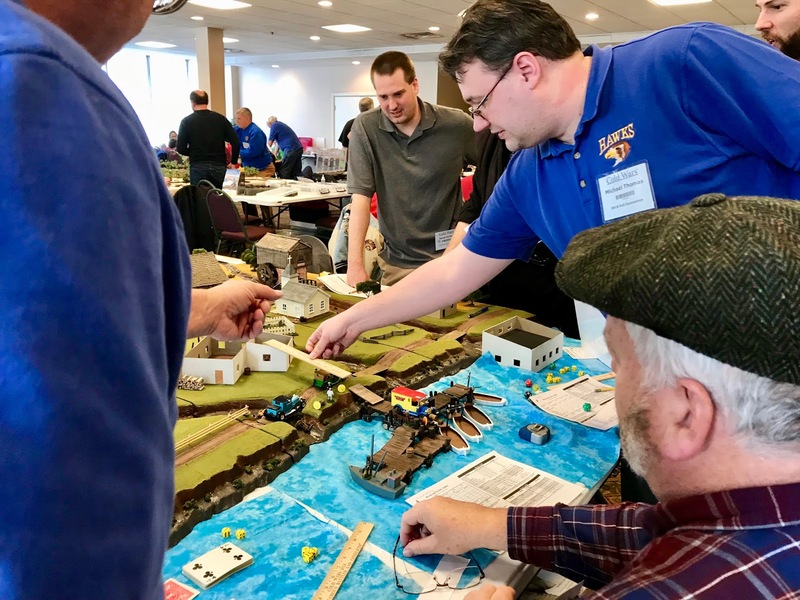 Eric Schlegel’s The Germans Come to Schlegel’s Ferry using Blood & Swash rules. 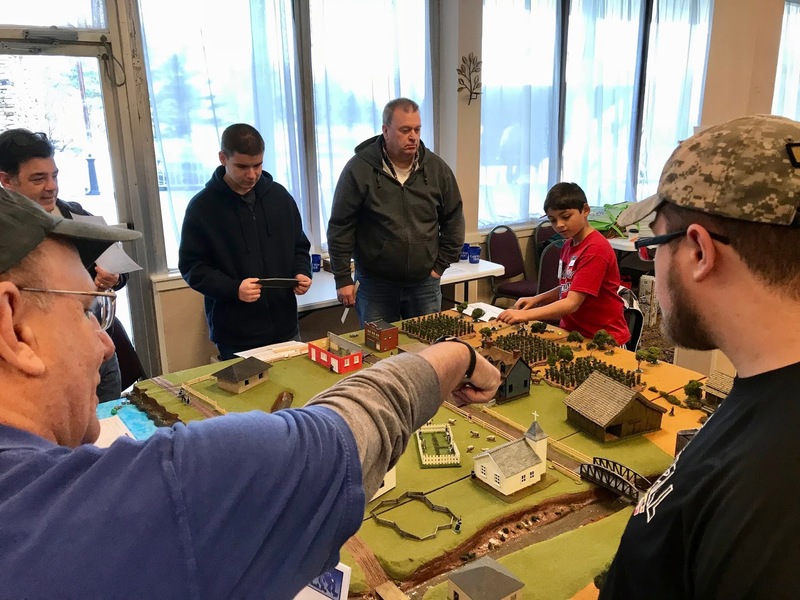 Greg Priebe’s Combat Patrol- Star Wars, using “Combat Patrol” rules with the Star Wars supplement. 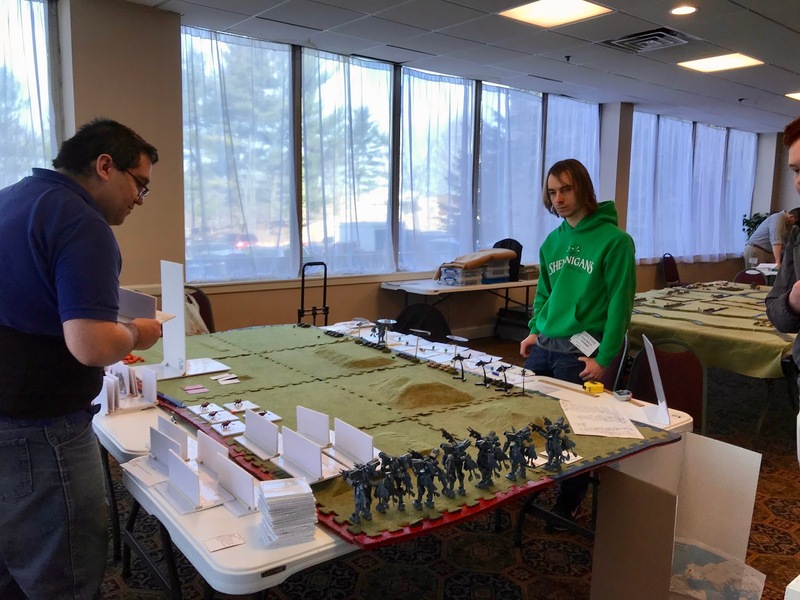 Kevin Fischer’s Flanking Attack against the BETA, using “Muv-Luv Alternative: Tactics” rules. 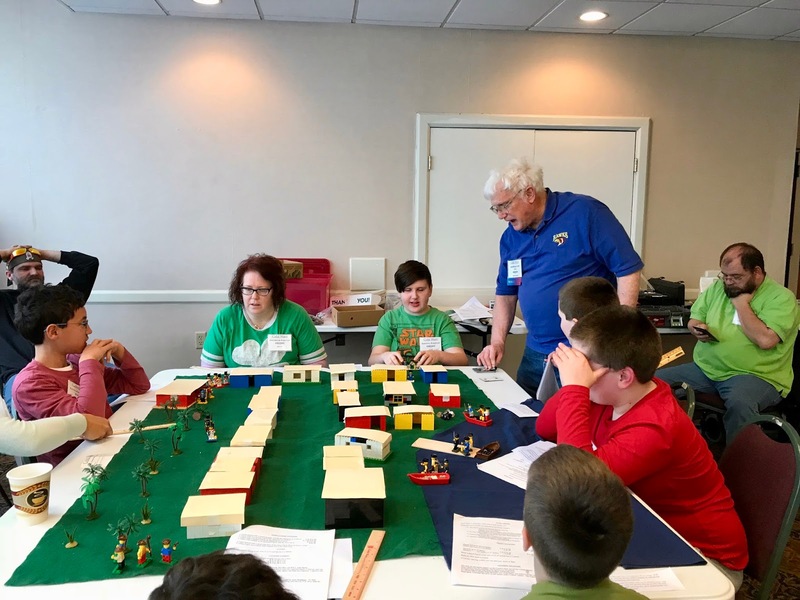 Buck Surdu & Chris Palmer’s Duke Morrison and the Great Zeppelin Raid", using GASLIGHT rules. 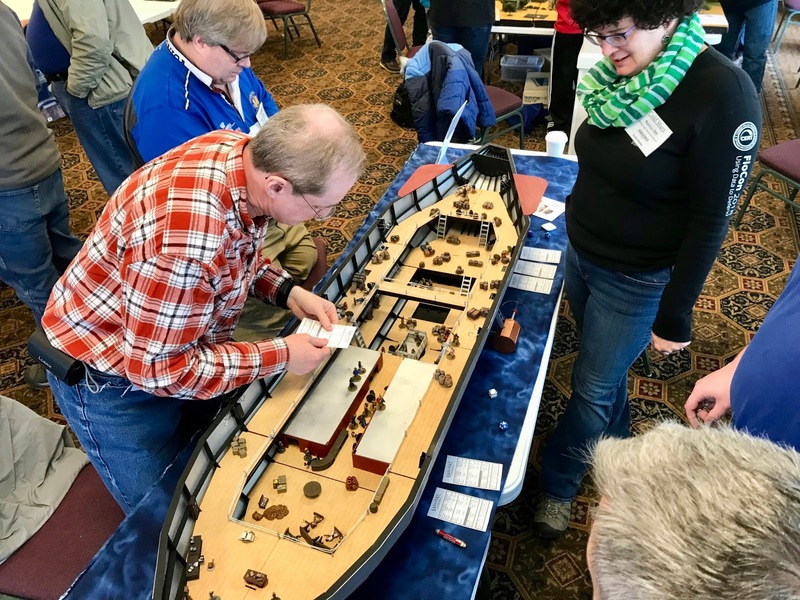 Eric Schlegel’s Al Capone Comes to Schlegel’s Ferry, using Blood & Swash rules. Zeb Cook’s Pay Day! 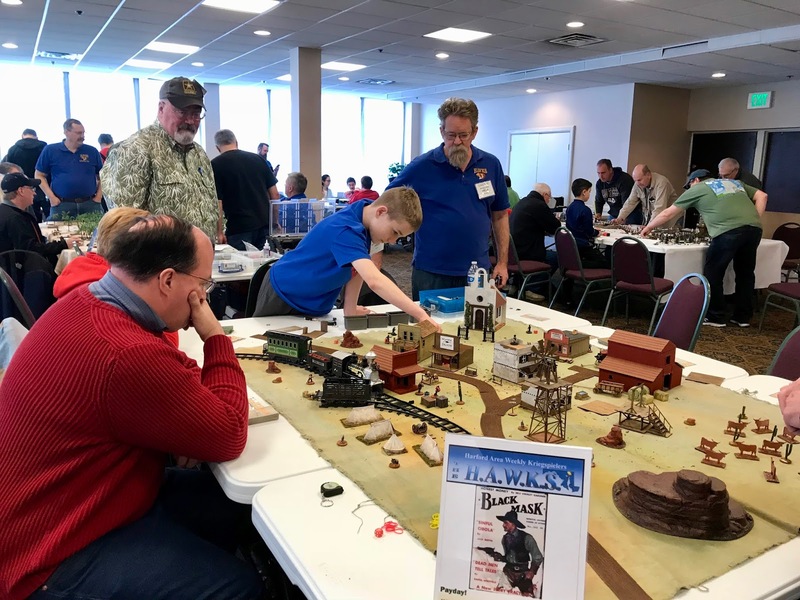 A Cowboy Caper, using Combat Patrol rules with the Wild West supplement. 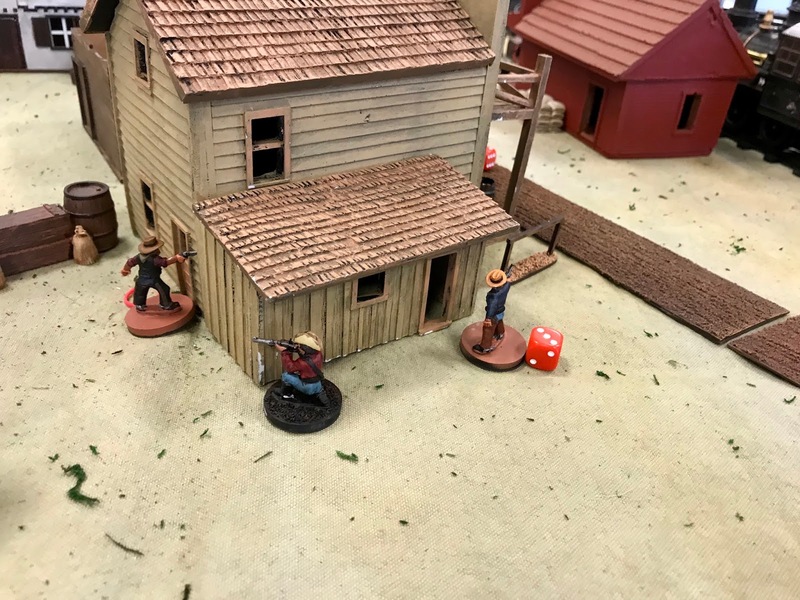 Cowboys shoot it out in Zeb Cook’s game. 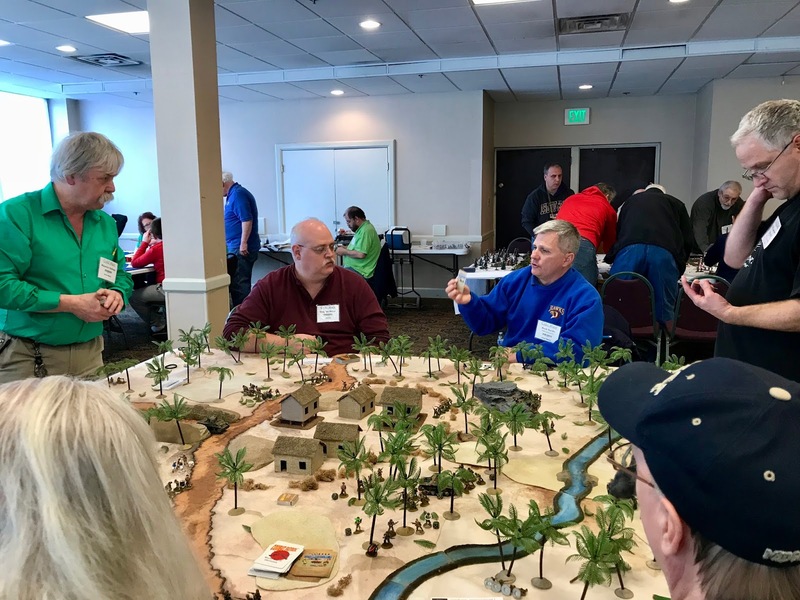 Buck Surdu’s encore running of Hold at All Costs game, featuring American Army troops vs Japanese in the Philippines, using “Combat Patrol” rules. 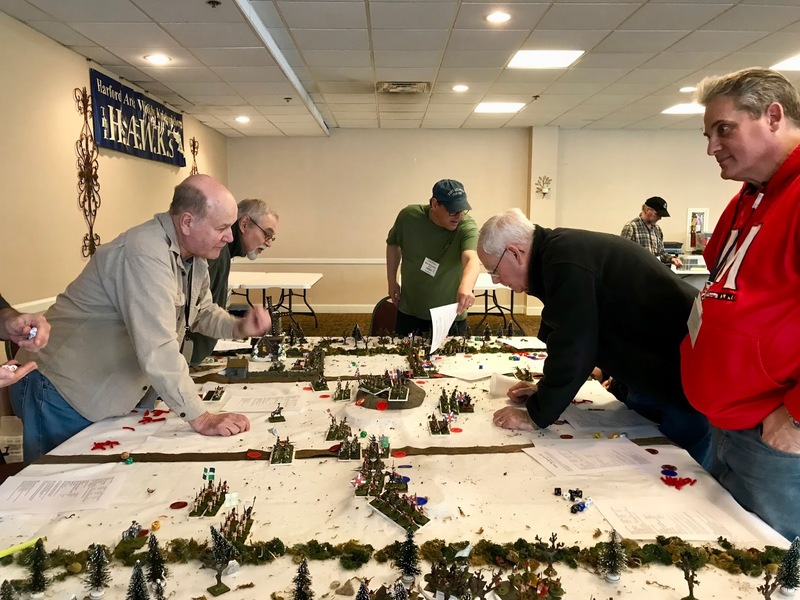 Michael Fischer’s The Shuddering Mountain game, using “Mobile Suit Gundam: The Gravity Front” rules. 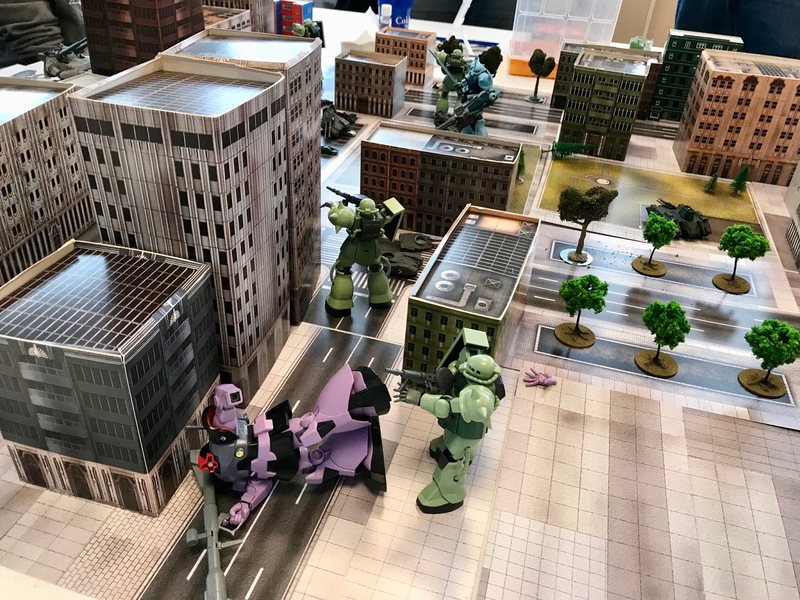 Large mechs fight it out in Michael Fischer’s game. 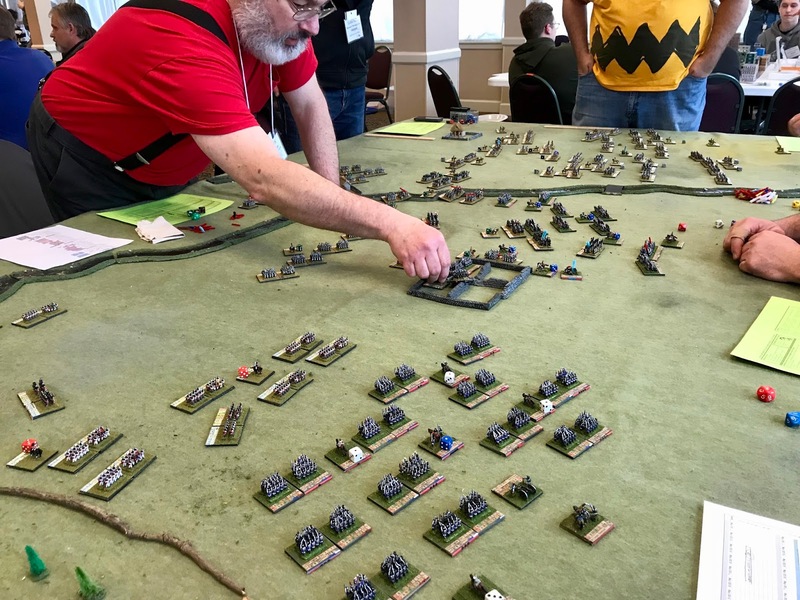 Kurt Schlegel’s The Battle of Castricum game, using “SAF Napoleonics”. 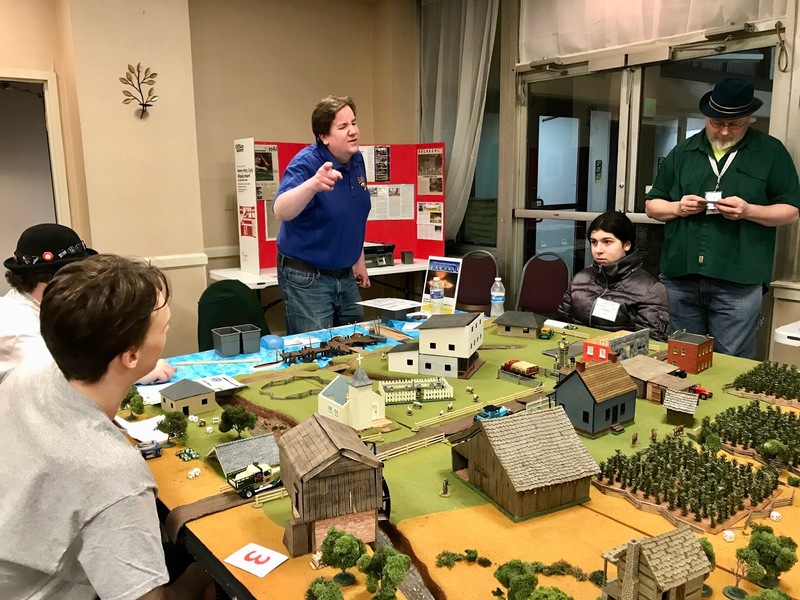 Geoff Graff’s perennial crowd pleaser for kids, Plastic Pirates Panic Population game, using “Plastic Pirates” rules. 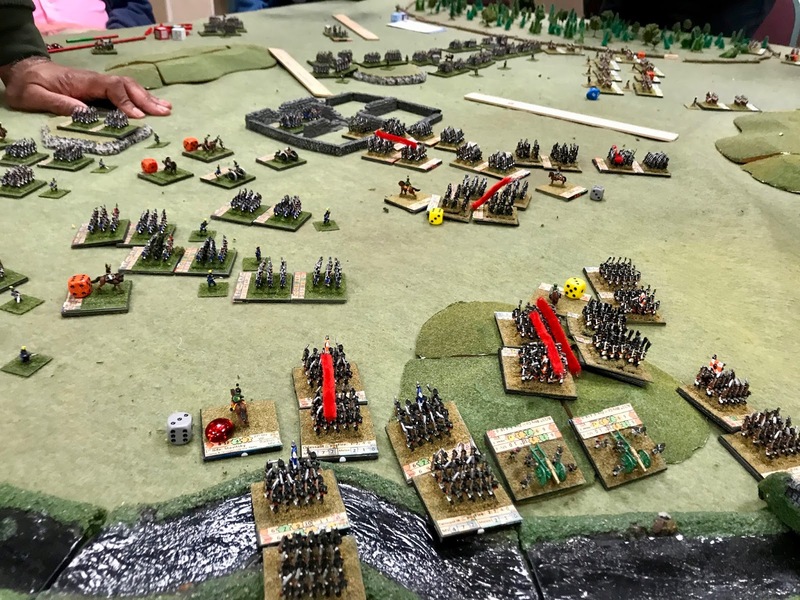 Bill Molyneaux’s Battle of St Foy game, using Home Brew rules. 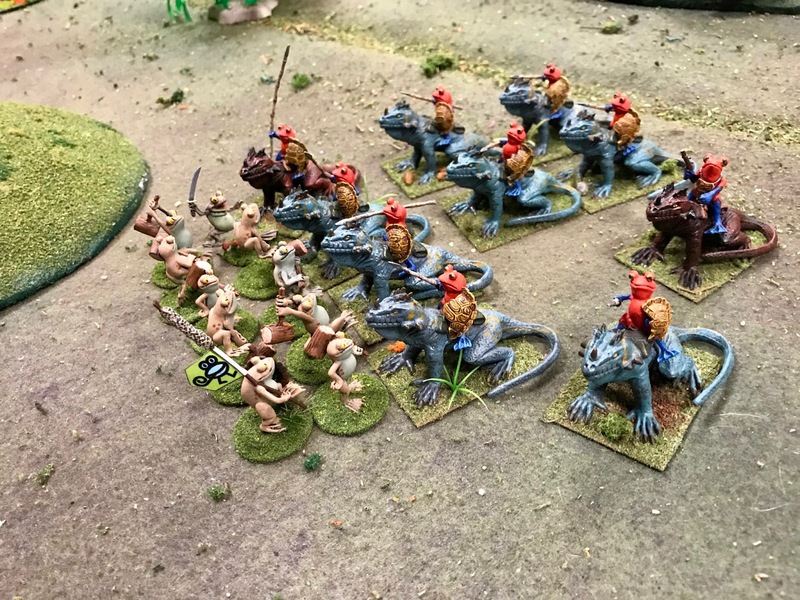 British forces advance in Bill Molyneaux’s game. A close up of Chris Palmer & Buck Surdu’s A Lily Pad Too Far game, using GASLIGHT rules. 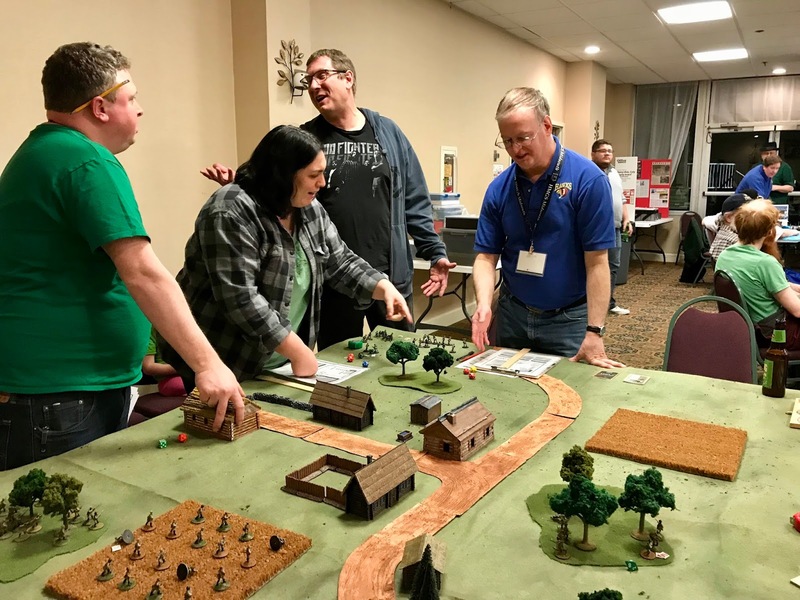 Dave Wood’s, The Battle of Castricum game, using “Fate of Battle” rules. 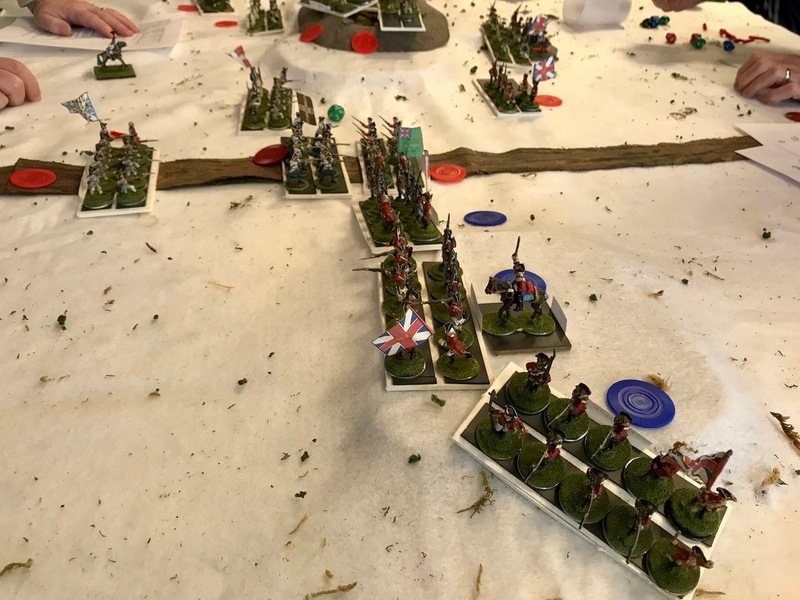 A closer look at the battle of Castricum. 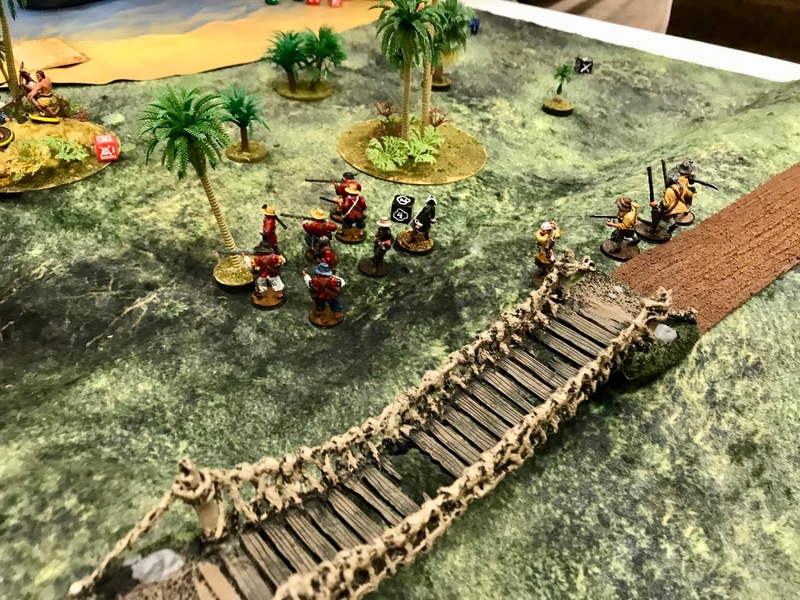 Zeb Cook’s Tortuga Raid game, using “Blood & Plunder” rules. 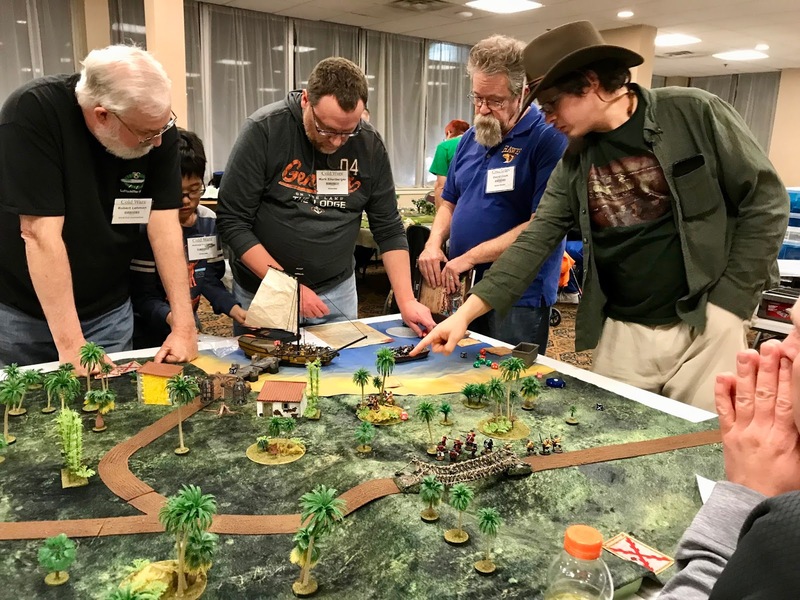 Pirates up to no good in the Tortuga Raid game. 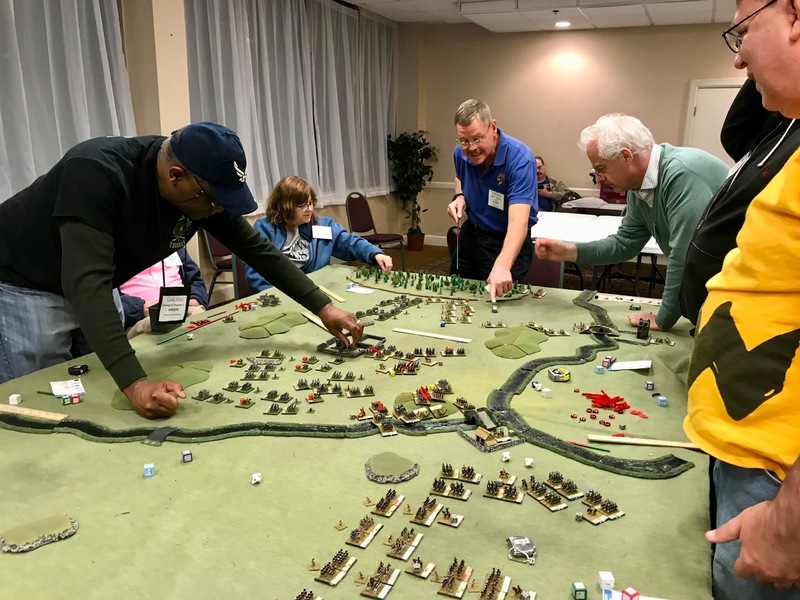 Don Hogge’s Action at Serofimovich" game, using “Battleground WWII” rules. 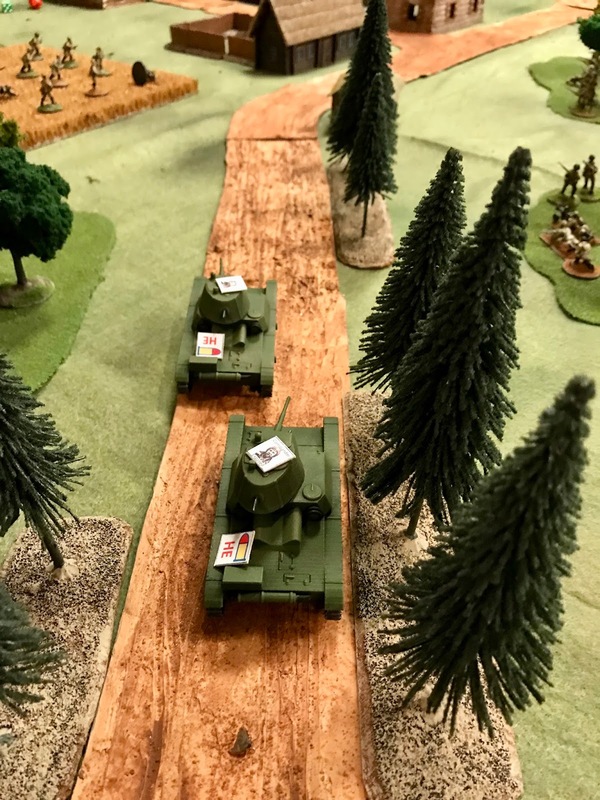 Russian tanks advance in Don Hogge’s game. 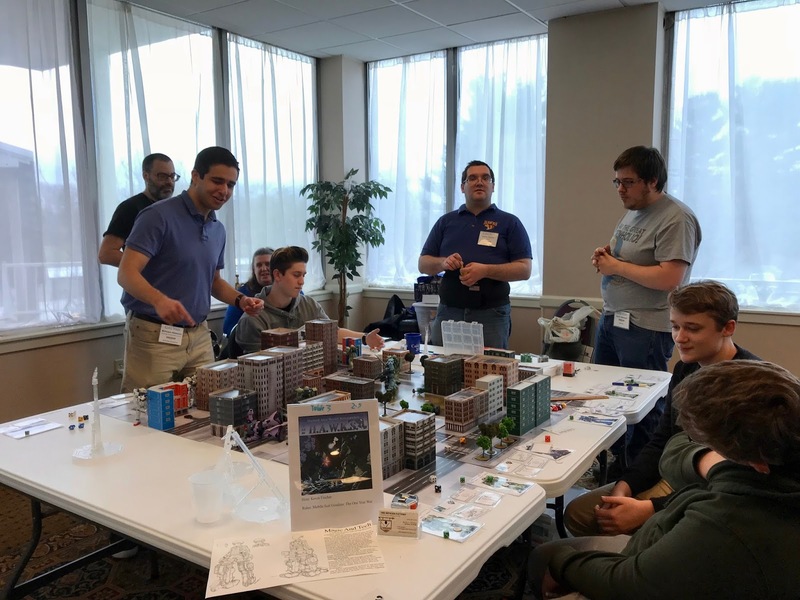 Greg Priebe, doing a little role playing in his Doctor Who Comes to Schlegel’s Ferry game, using “The Doctor Who Miniatures” rules. 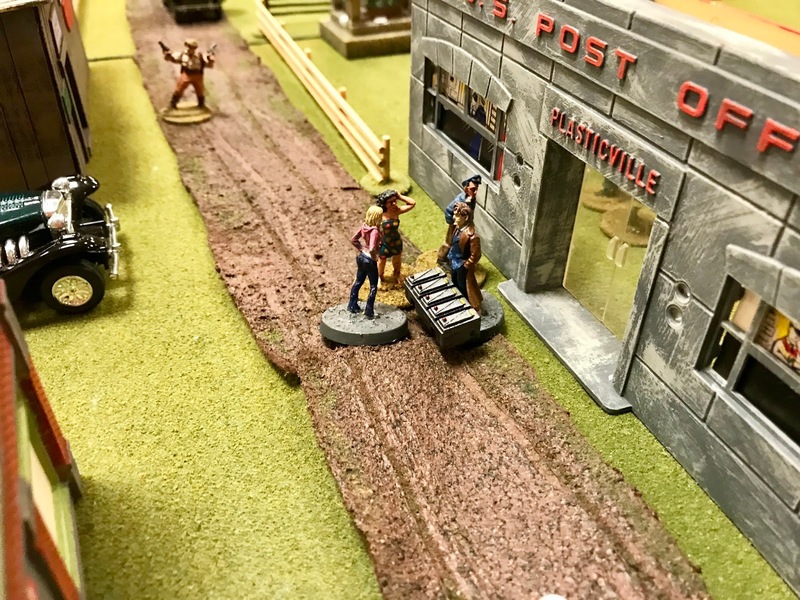 The Doctor and Rose pick up a Mcguffin at the Schlegel’s Ferry Post Office.